In Jamaica, it’s common to see an elderly person addressed as “Elder,” which is viewed as paying respect to the older inhabitants of the island, most born before Jamaica’s independence from England in 1962. These men and women are a walking library, holding information passed on to them by their grandparents who were born into slavery. Both of my maternal grandparents were a wealth of knowledge although they both lacked any formal education. My grandfather — a skilled laborer from May Pen, Clarendon — helped construct many of the buildings erected in the ’50s and ’60s. Deacon Fisher was a jovial man, loved by the community and often called “father” by the many children who were without one. Sister Lillian, my grandmother, was a stern and proud Christian woman who, because she gave more than she received, many people growing up at that time thought was wealthy. In actuality, she sold fish in the fishing village of Rocky Point, Clarendon. 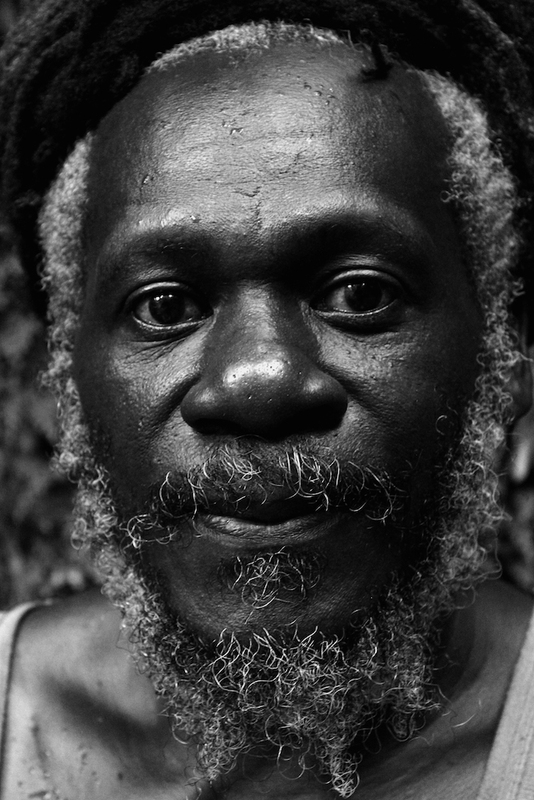 After both of them passed a few years ago, I began to meditate on the rapidly dwindling society of my elders in Jamaica and returned there frequently, attempting to capture the essence of these men and women. Although they’re still viewed as the backbone of Jamaican society, the reality is we won’t have many of them around in the next 20 years. I traveled with camera in hand hoping to document these storytellers. What I found in each portrait was a proud history coupled with a humble yet strong dignity. 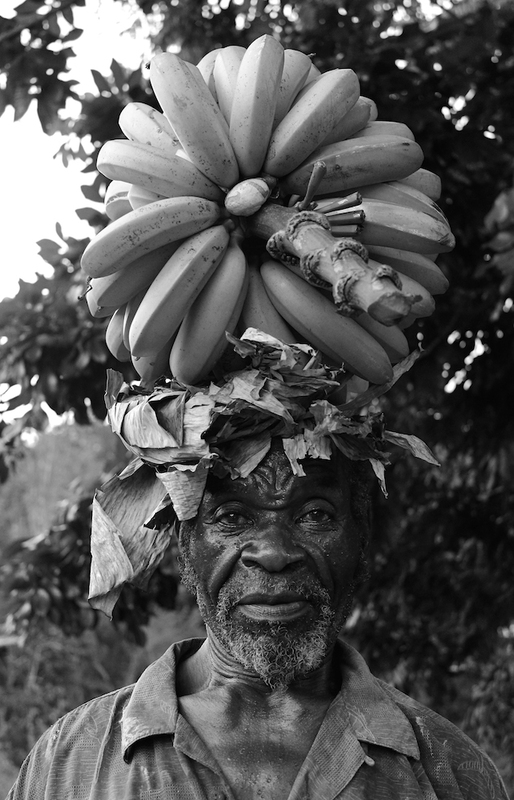 Boju is the self-proclaimed "banana man" of Ginger Ridge, Jamaica. Ginger Ridge is a small country town in the parish of St. Catherine. Boju primarily makes his living selling bananas to support his partially blind wife. He spends most of his days with a machete traveling deep in the bush to look for food to sell in the area market. 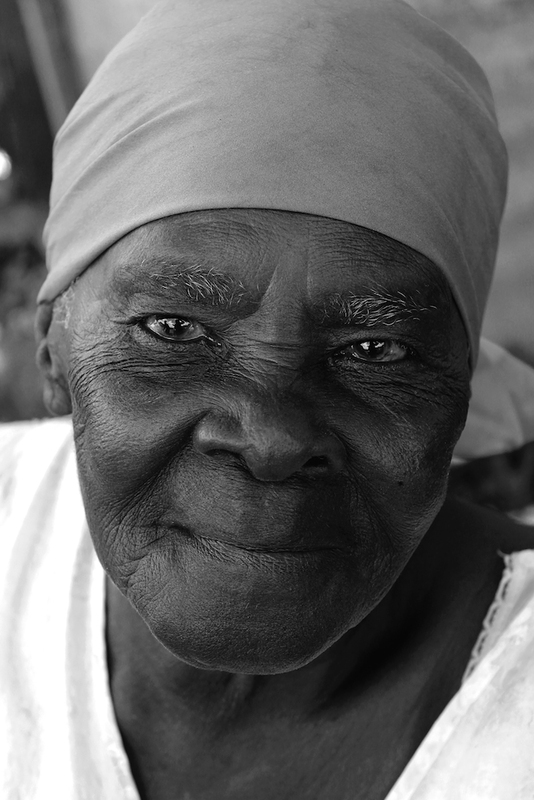 Granny is a 94-year-old woman who lives in the countryside in the parish of Clarendon, Jamaica. 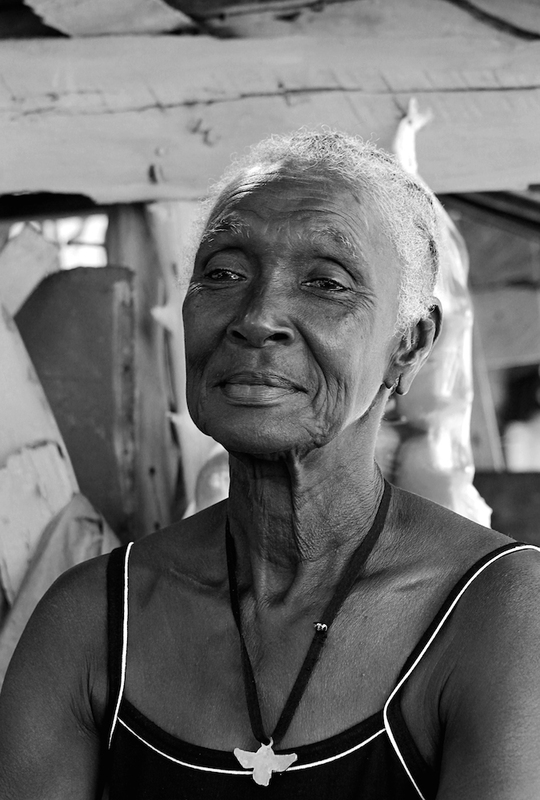 Born in Cuba, Granny migrated to Jamaica with her parents when she was three years old. Her parents, both born to slaves, moved with Granny to Jamaica to look for better economic opportunities. You can find Granny usually sitting on her porch, always smiling and playing with her great-grandchildren. While driving along a narrow deserted road, I met Highranamoh. 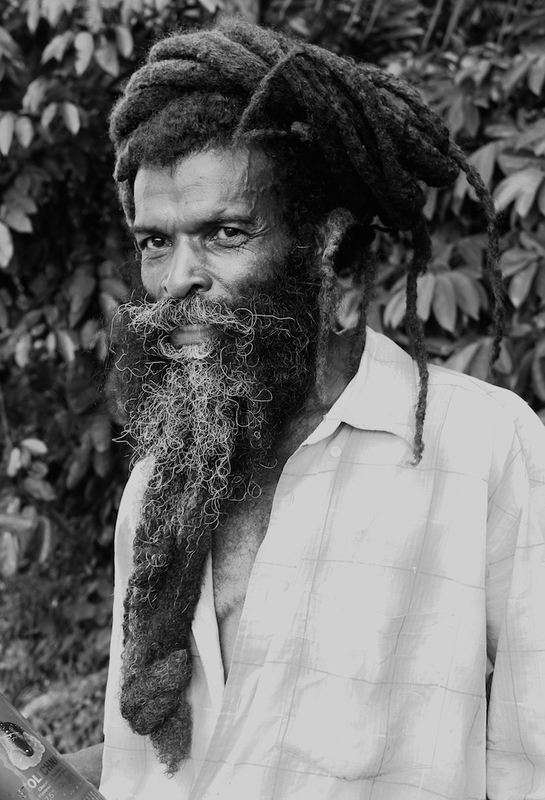 A Rastafarian from the parish of St. Thomas, Jamaica, Highranamoh spends most of his day selling his homemade organic root wine and fruit that he picks from area trees. I found his face to be compelling, especially his beard, which is over a foot long! Meet Abu, the neighborhood medicinal healer from a community of Maroons in the parish of Westmoreland. Abu sells a variety of natural herbs, spices, and homemade tonics promising to cure anything from a mosquito bite to the common flu. I met Queen while driving through a street filled with roadside sellers in the community of Bog Walk, St. Catherine. Queen sells some of the sweetest sugarcane one could ever hope to taste, and if you're lucky you can enjoy a little chit-chat with her, as she has a welcoming humor about life in Jamaica. 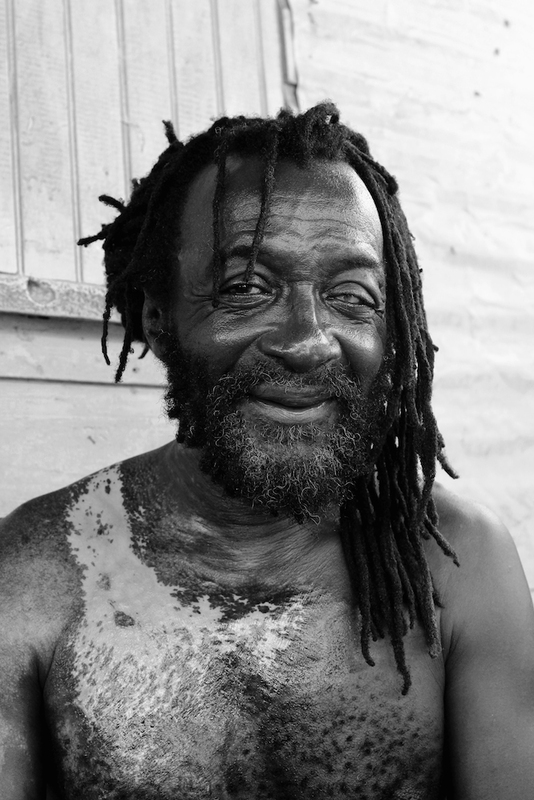 If you visit the Bath Mineral Springs you're bound to run into Ras Steve, an area tour guide who'll eagerly tell you about the history of Jamaica as well as take you to the springs where you can enjoy an aromatherapeutic session complete with a mud bath, scrub, and rubdown in Jamaica’s popular pimento oil. Because of his knowledge and warm demeanor, Ras Steve is viewed as the unofficial 'owner' of Bath Mineral Springs although it's free and open to the public.